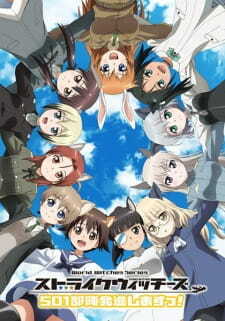 Anime Strike Witches: 501 Butai Hasshin Shimasu! Sinopsis : Yoshika Miyafuji joins the 501st Joint Fighter Wing, a defense unit specializing in taking down alien beings known as the Neuroi. However, in days of no invasion, she and the members of the unit are taking down day to day tasks like cooking and laundry.